Coxwell & Associates provides legal representation for a wide array of clients in areas such as personal injury, criminal defense, and malpractice. 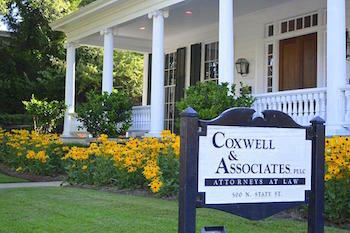 If you are looking for personal injury attorneys serving Jackson, Mississippi who have your legal rights in mind, Coxwell & Associates can assist you. Our attorneys are well versed in nursing home abuse, wrongful death, spinal cord injury, product liability, and other areas of the law. Coxwell & Associates is here for you in your time of legal need. Put your trust in multi-disciplined attorneys who always have their clients’ best interests in mind. Please take a moment to fill out the form below. The personal injury attorneys of Coxwell & Associates will review the details of your case. Required fields are marked with an asterisk (*).